Recently, it has been brought to my attention that sugar is not always vegan. There are two main types of sugar in the United states- cane sugar beet and sugar. 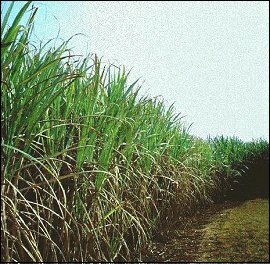 Unlike beet sugar, cane sugar is often refined using animal bone char. The problem for vegans is that beet sugar is rarely labeled as such and it is impossible to distinguish between the two types of sugars in taste or appearance. person is to maintaining strict veganism. When you get down to it, most products in the United States are not vegan as they are transported in trucks composed of steel and rubber: products which are produced with the use of animal fats. As Vegan Outreach points out, groundwater is also filtered through bone char, so it’s important to draw the line somewhere. They urge vegans to concentrate on the more obvious animal products and not get carried away. It’s important not to forget that the true purpose of veganism is to live with compassion, not to starve yourself! On a side note, September 2nd was the birthday of Donald Watson, the man often referred to as the “father of veganism”. Watson is responsible for founding the Vegan Society and for coining the term “vegan” itself. Although he passed away five years ago, it is important to remember the man who started the movement for a compassionate lifestyle. A 2005 interview with Watson can be found at vegnews.com.